In spring of 1858, Thompson Grey, a young farmer, travels to his father's estate seeking funds to expand his holdings. Far overstaying his visit, he returns home to find that his absence has contributed to a devastating family tragedy. Haunted by remorse, Thompson abandons his farm and begins a westward exile in the attempt to outpace his grief. Unwittingly, he finds himself at journey's end in the one place where his strongest temptations are able to overtake him and once again put him to the test. 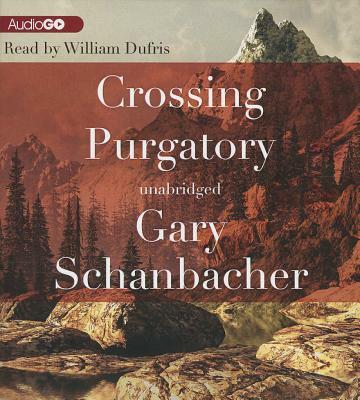 Set against the backdrop of the frontier during the years just preceding the Civil War, Crossing Purgatory tells a story of unprincipled ambition, guilt, and the price one man is willing to pay for atonement. Gary Schanbacher was born in the Midwest, raised in Southeast Virginia, and lives just outside Denver, Colorado. His short story collection, "Migration Patterns, " received a PEN/Hemingway Honorable Mention for distinguished first works of fiction and won the Colorado Book Award, the High Plains First Book Award and the Eric Hoffer General Fiction Award. He has been a Hemingway Fellow at Ucross Foundation, serves on the board of directors of Lighthouse Writers Workshop, a non-profit writing center, and is a founding partner of The Writers Block, a writing co-community.